Students investigate the relationship between kinetic energy, temperature, and heat transfer during physical changes of state. Further, the effect of solutes on freezing point and boiling point is explored. Finally, students quantitate the amount of heat that is absorbed by a solid and calculate the amount of heat that the solid can transfer. Observe the expansion and contraction of a liquid when placed in environments that differ in kinetic energy. 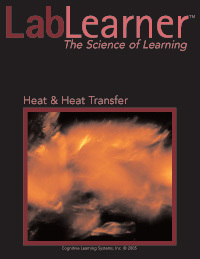 Explore physical changes in matter that accompany changes in thermal energy. Discover how the addition of a solute changes the freezing and boiling point of water. Investigate the specific heat capacities of different substances. Determine that the specific heat capacity relates to the amount of heat that an object can maintain.